Bacon and chocolate. It is a taste combination that at first glance may seem strange, but the pairing of sweet and salty bacon with chocolate is delicious. 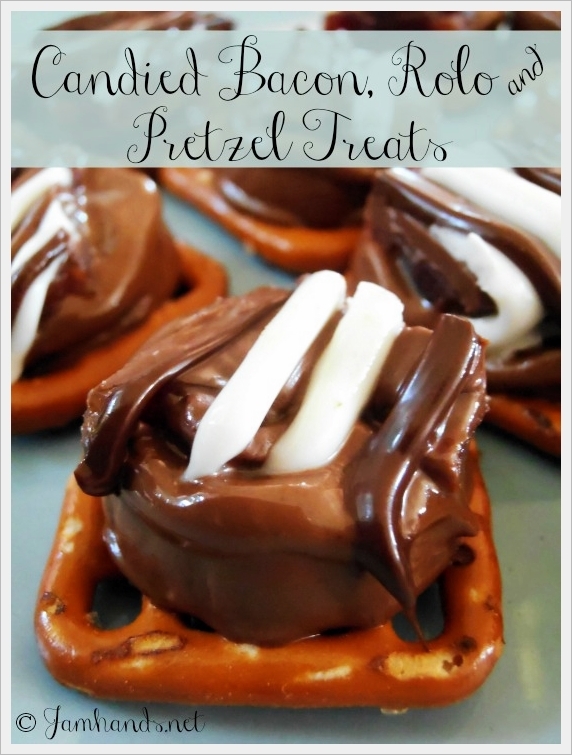 Adding in a crunchy and salty piece of pretzel makes this treat perfect. 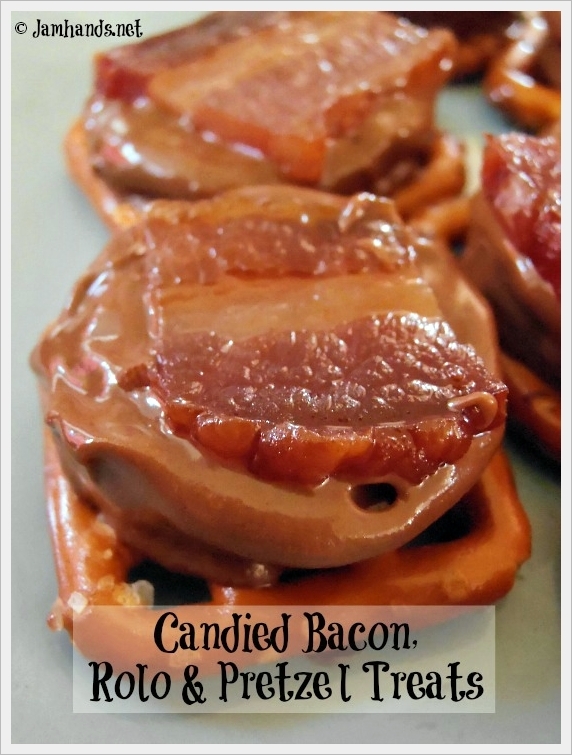 If you want, you could make a full recipe of candied bacon and snack on whatever bacon is left over after making these treats. Otherwise, you can cut the recipe for the candied bacon in half. If you can find rolls of rolo candies at the check out of your store you can save yourself some unwrapping. Prepare the candied bacon as directed. Let them cool a bit. With a very sharp knife, cut into bite size pieces. Line a baking sheet with parchment paper. Preheat oven to 250-f degrees. Arrange the pretzels on the parchment paper. Top each pretzel with a rolo candy. Bake for 4 minutes. Remove from oven. Top with a piece of candied bacon. Let them come to room temperature to set up before serving. Ohhh this sounds good!! The sweet and the savory in this sound REALLY good!